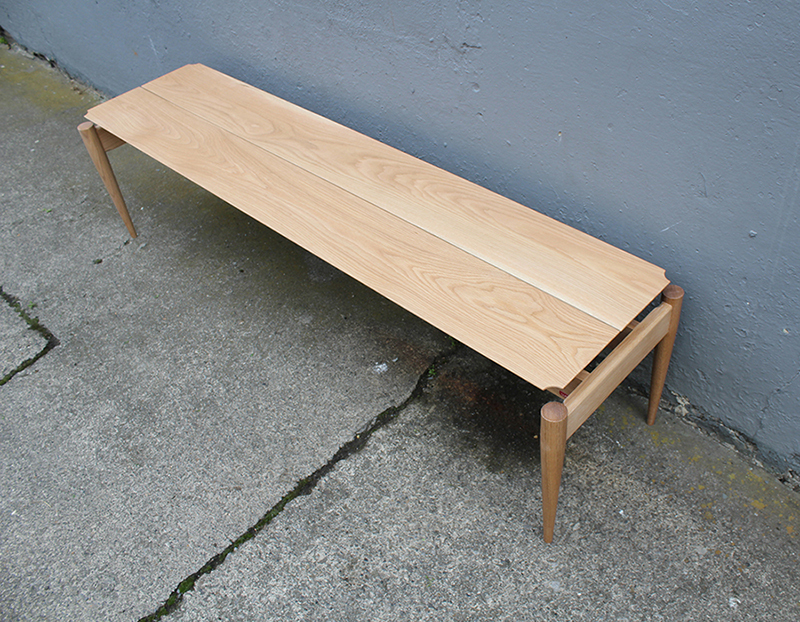 This is a bench made to look light and elegant, yet is exceptionally strong. The legs are turned and mortised joined into the oak frame. 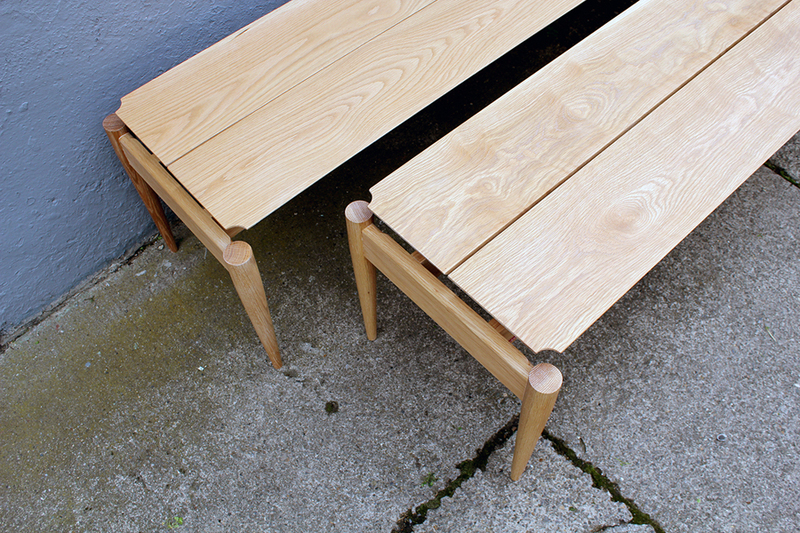 The top (similar to the table that we made to go with it) has a chamfered edge. 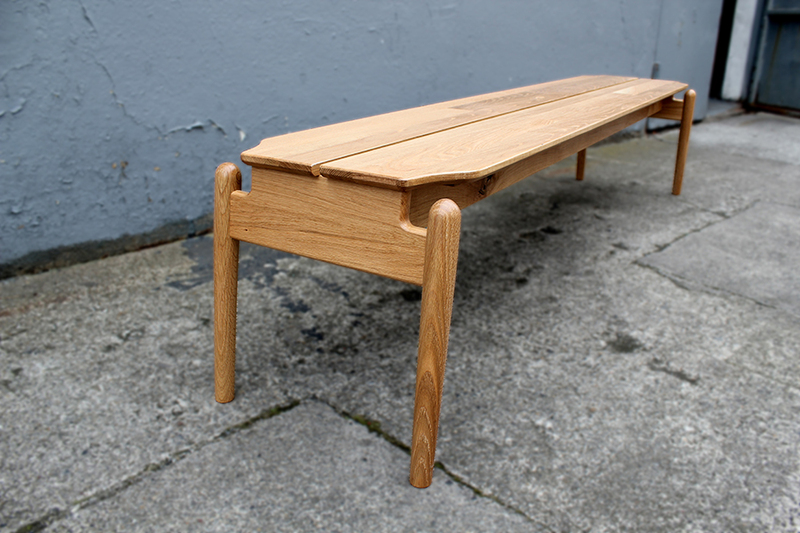 The split top finishes off this simple bench.